Insert File Attachments in OneNote - Instructions - TeachUcomp, Inc. Try the OneNote Course for Free! You can insert file attachments in OneNote for easy access to external files. For example, you could insert a Word document directly into OneNote. This lets you avoid copying and pasting the information from the Word document into your OneNote notebook. 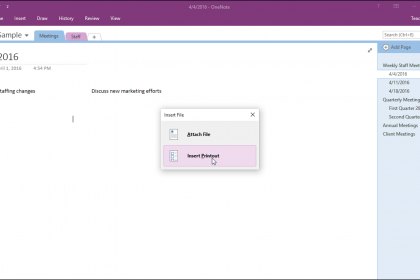 To insert file attachments in OneNote, navigate to a page in the OneNote notebook. Then click in the area where you want to insert the file. Then click the “Insert” tab in the Ribbon. Next, click the “File Attachment” button in the Ribbon to open the “Choose a file or set of files to insert” dialog box. Use the dialog box to navigate to the file to insert. Then click the file you want to insert to select it. Then click the “Insert” button in the dialog box. The “Insert File” dialog box then opens. In the “Insert File” dialog box, click or tap the “Attach File” button. 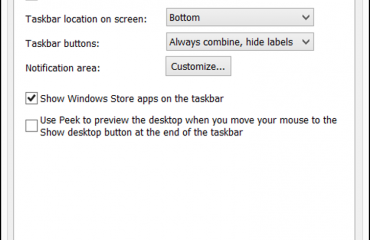 Doing this then inserts an icon for the selected file into the notebook page where your cursor is located. The icon is an object in the page and you can move it to a different location by clicking and dragging. To open the file, double-click it. The file then opens using its native application, like Microsoft Word, for example. Insert File Attachments in OneNote – Instructions: A picture of a user inserting external file attachments into a OneNote notebook. 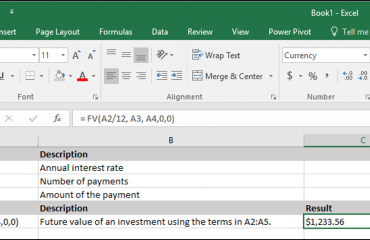 Alternatively, you can also click the “Insert Printout” button in the “Insert File” dialog box if that option is available for the type of file you are inserting. If you do this, you will still insert an icon for the inserted file into your notebook page, but you will also insert a printout of the document that you can view in OneNote. 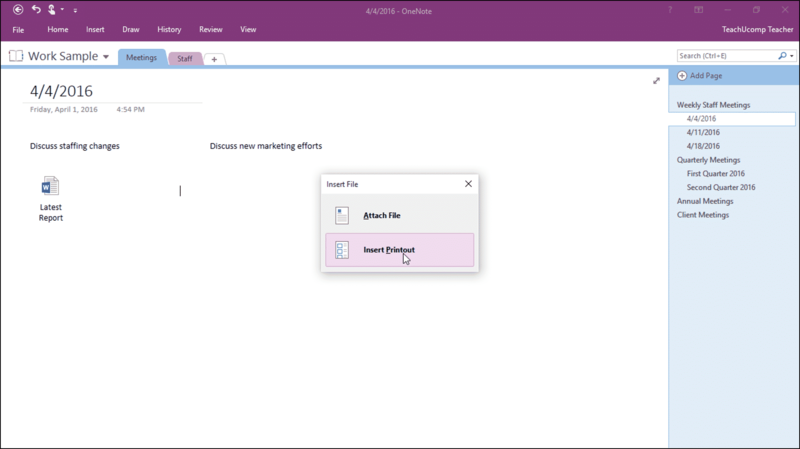 To insert file attachments in OneNote, open a page in a OneNote notebook. Then click in the area of the page where you want to insert the file. Click the “Insert” tab in the Ribbon and then click the “File Attachment” button. In the “Choose a file or set of files to insert” dialog box, navigate to the file you want to insert, click it to select it, and then click the “Insert” button. 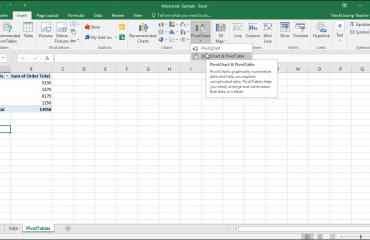 In the “Insert File” dialog box, click either the “Attach File” button or, if available, the “Insert Printout” button, as desired. To move the icon of the inserted file, click and drag the inserted file icon to any location in the OneNote notebook. To open the inserted file in its native application, double-click the inserted file icon. Sale! $15 Courses! 0 Days 19 Hours 5 Minutes 49 Seconds $50 $15 Every course on sale!